Do you want to check the Ubuntu version you are running in your system? 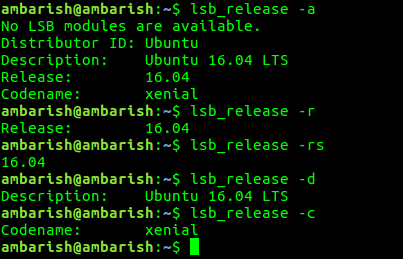 Or are you in a public system and wants to check which version of Ubuntu it is running? 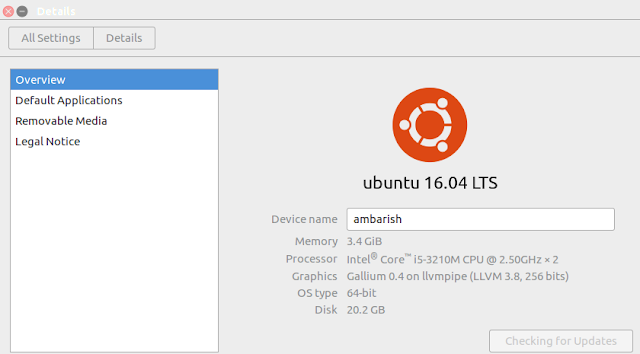 This article will tell you how to check Ubuntu version when you don't know of it. There are two ways to do that, either through the terminal or from Unity tools. We will check the both ways. This command will show you the Description, release and codename of the particular version you are running. Similarly, you can use -s for only getting the release no., -c for codename, -d for description. In the output, you will find the kernel information. If you have got Unity in your system, you can check from there too. Open System Settings from the launch pad or through the Dash and click on the Details icon under System menu. This will give the Device Name, Memory, Processor, Graphics, storage and OS type along with the Ubuntu Version. The unity method will provide only the release and not the exact version no. for which you will have to use the terminal only. So, next time if you are on your friend's PC or in your practical classrooms which is running Ubuntu and you need to know the Ubuntu version it is running, use any of the above method to check Ubuntu Version. Let me know in the commends if you face any difficulty.